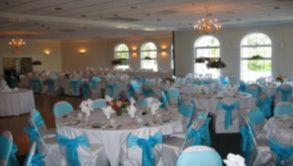 The Grand Ballroom can accommodate parties of up to 400 guests. Overlooking our gorgeous golf course this room is perfect for your special day. 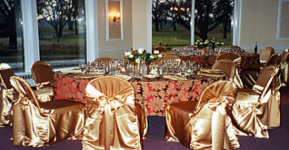 The Fairfield Room can accommodate parties of up to 150 guests. The Fairfield Room can also be divided into two separate rooms to accommodate the smaller events holding up to 60 guests on either side. The Southmoor Room is a more intimate setting for the smaller events. With a gorgeous view overlooking our golf course, this room can accommodate parties of up to 60 guests. This room is perfect for your bridal or baby shower.